Growing oak leaves on a white background. The first and last frame match for looping possibilities. HD 1080p quality 29.97fps. Christmas Background, Winter Forest. Beautiful 3d animation, seamless looping, 4K. Cutting square shape on wood,Cutting square shape on wood with handsaw.Hand drawn animation.Useful for opening sequences. Diagonally Wood Cutting,Diagonally cutting the wood with handsaw.Hand drawn animation.Useful for opening sequences. Cutting circle shape on wood,Cutting circle shape on wood with handsaw.Hand drawn animation.Useful for opening sequences. Diagonally Wood Cutting,Cutting square shape on wood with handsaw.Hand drawn animation.Useful for opening sequences. Horizontally Wood Cutting,Cutting square shape on wood with handsaw.Hand drawn animation.Useful for opening sequences. Autumn animated word cloud, text design animation. Autumn animated word cloud, text design animation. Kinetic typography. Green grass and tree on hill in wind breeze with clouds running background, time lapse clip, green concept. 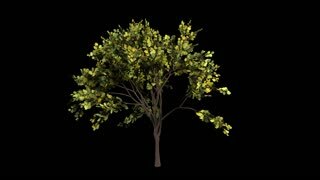 The particle merges into a tree shape and fade into a real tree on hill in wind breeze, green grass with clouds running background, time lapse clip, green concept. Flying and rotating red oak leaves over blue blurred sky. Autumn, fall background. Slow motion, close-up HD realistic 3D animation. Single tree in autumn, falling leaves.